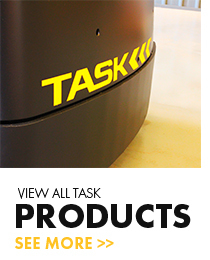 Welcome to TASK, Australia's largest manufacturer and exporter of forklifts. 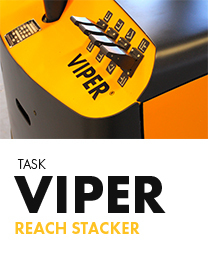 We manufacture the very best Class 3 (Pedestrian Operated) equipment in the world and have been doing so for 35 years. TASK are renowned throughout Asia, Australia and the United States of America for our 'state of the art' equipment, reliability and expertise. 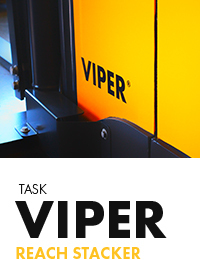 We design our equipment to ensure we have outstanding customer satisfaction and repeat orders. For us, it is all about offering outstanding service - proactive, efficient and customised to your specific requirements. 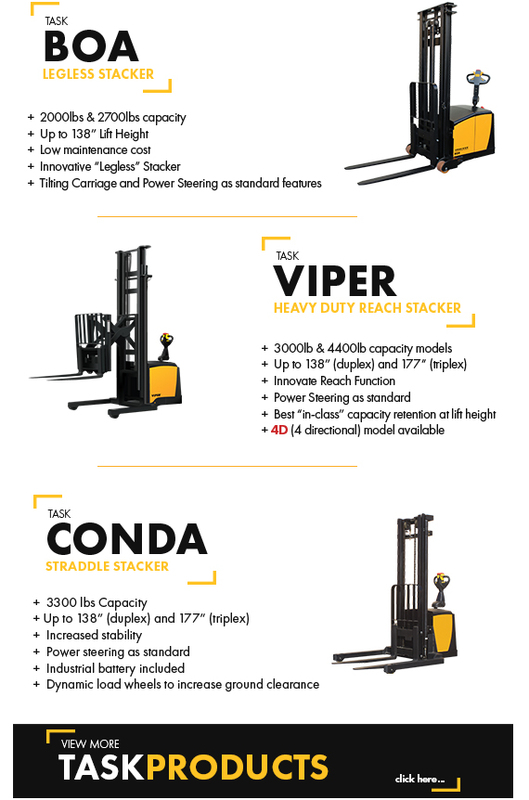 While we have branches across the world, we are proud to be known as the Australian Forklift Company. Your enquiry has been sent to Task Forklifts.